North American Machine Works is a true service and repair center, not a job shop. We fully understand our customer’s demanding requirements in the industrial sector –and we have proud employees in our machine shop ready to meet them. 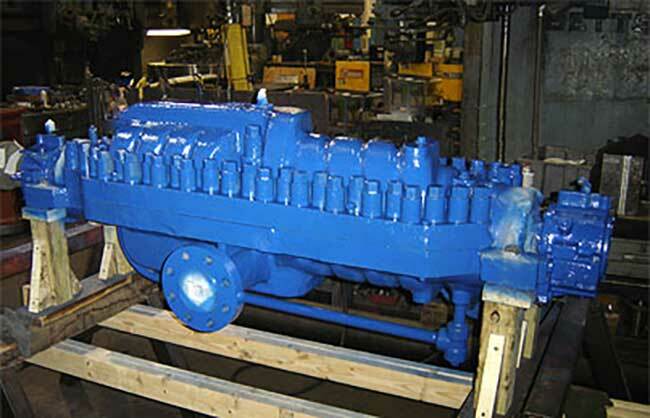 Our customer base in heavy industry frequently requires our machine shop to work around the clock to ensure that a critical piece of process equipment – pump, turbine, gearbox, compressor, etc. – is repaired and put back into service as quickly as possible. 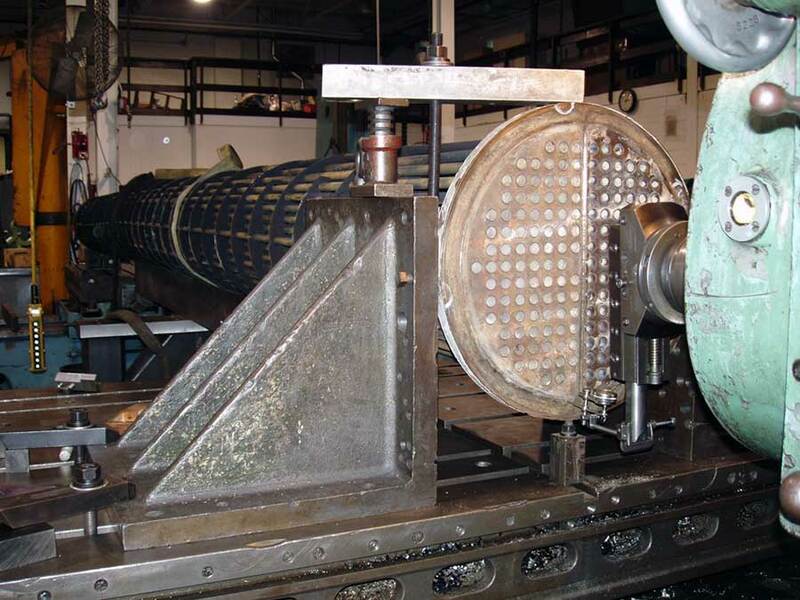 We have a full complement of horizontal boring mills, vertical boring mills, lathes, and drill presses. Our crane capacity allows us to lift up to 15 tons, so we can handle both small and large jobs with ease. We also have a weld shop which carries an National Board R stamp certification. 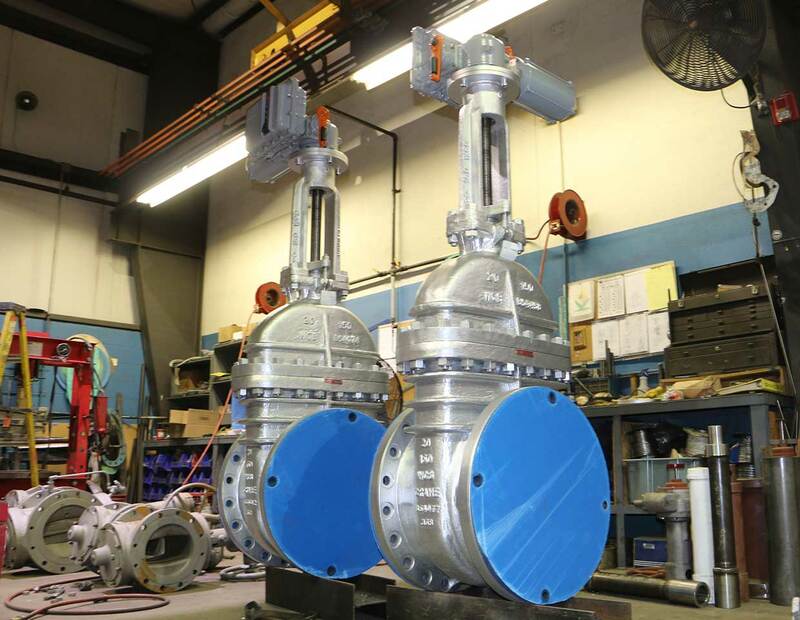 Typical types of equipment we service include heat exchanger components, i.e. channel boxes, floating heads, cover plates, tube bundles; gear boxes and pumps. We are ready to tackle any difficult job which comes through our doors. Upon receipt your pump will undergo a complete disassembly and inspection. Critical dimensions, clearances, and shaft run-outs (TIR) are documented on our inspection report. Numerous photos are taken throughout the process which allows us relay important photo evidence of the as-found condition to our customers. If required, we will re-machine fits between mating parts to ensure parallelism and perpendicularity. Prior to final assembly, the rotating element is balanced to stringent industry standards on our Schenck balancing machine. Once the pump overhaul is complete, a detailed report is generated showing as found and final dimensions on all critical clearances.